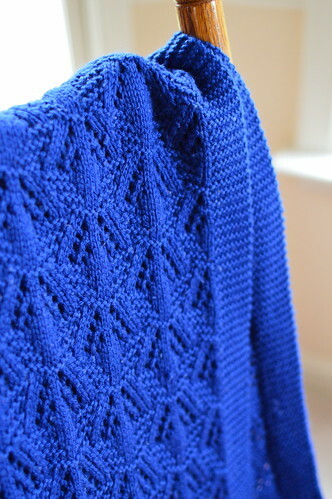 We’re back with another post about my friend Marseille‘s knitting projects. Today, I’m focusing on her classic and lasting baby blanket for her nephew. 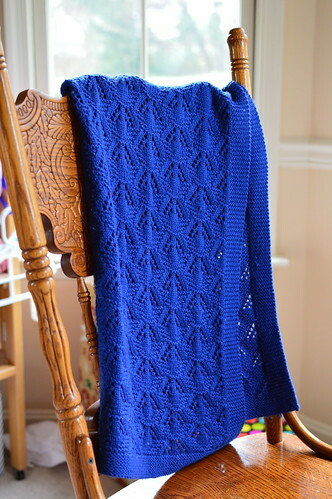 The pattern Marseille followed was Cradle Me by Anne Hanson from Knitspot. 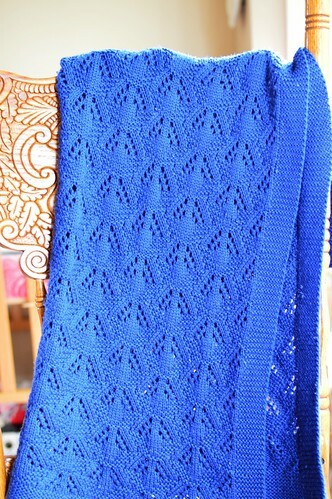 She used the 100% Merino Cascade Yarns 220 Superwash® Sport for the project in a cheerful blue. The stitch design is beautiful when spread out and the openings offer good air flow for babies as a safety feature. The edging has a nice substantive feel that helps it stay in place and be cosy without curling. 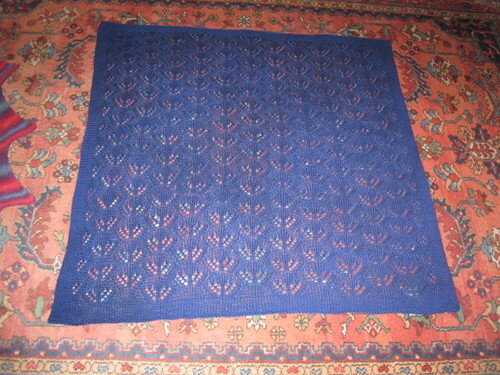 Using a solid color with good stitch definition is essential for this blanket. Her baby nephew (who is now four years old) loved the blanket and his big sister proclaimed it to be “soft.” Marseille entered the blanket in Anne Arundel County Fair in September 2012 where it won a Blue ribbon and was reserve champion. 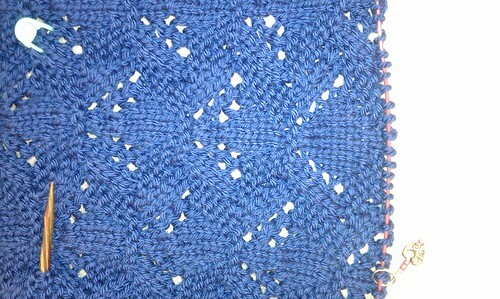 If you were to knit this pattern, what color would you choose for the yarn? This entry was posted in Knitting | Crochet, Knitting for Babies & Kids and tagged Marseille.